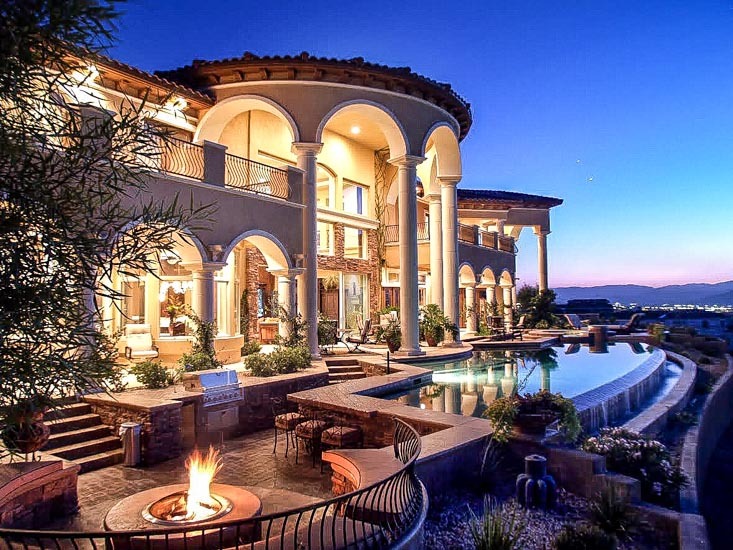 Building and servicing pools and spas since 1995 – We are your premiere destination for both luxury and relaxing swimming pools in Las Vegas. Our reputation and service is rated A+ with the Better Business Bureau in Nevada for swimming pool contractors and builders. 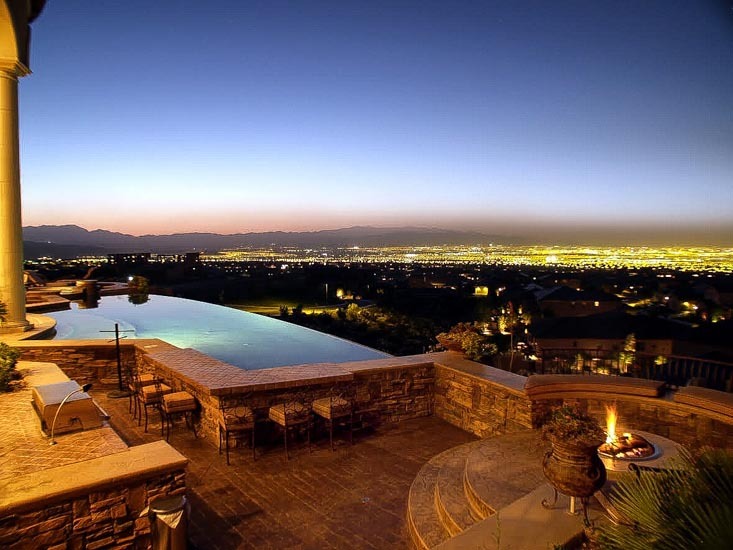 Backyard residential swimming pools in Las Vegas are almost required in the hot summer heat. We feature custom designs on slides, waterfalls, grottos, lagoons, and fire features. 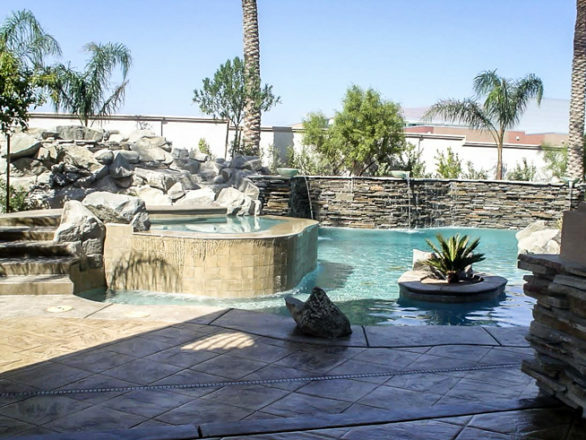 Everclear Pools is not your typical Las Vegas pool contractor. We do it all from designing your creation with you, to complete financing, and being with you each and every step of the way. All expenses are covered up front, as we pride ourselves as being old school in our business approach but very new and cutting edge in our looks and designs. 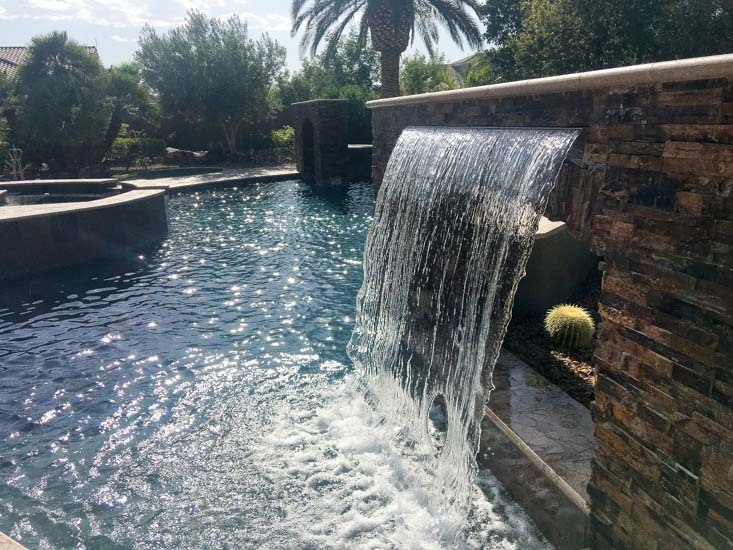 Our pool speciality includes but is not limited to new and amazing water designs, repairs, full pool renovations, and more. We promise you that we will never cut corners, compromise any work, and value our 100% integrity guarantee. We would not be where we are without our amazing clients and the wonderful jobs that we got to create with them. We are extremely satisfied with our beautiful Everclear Pool! The personal service rendered by owner Eric Guinn before, during and after its construction is, we believe, unequaled in the industry. I am writing you this letter to tell you how happy my wife and I are with our brand new pool We never imagined that we would be swimming by Memorial Day but we are and the kids are thrilled. After receiving all of our bids, we chose Everclear Pools to build our pool. They listened to all details we were looking for and followed through with everything which exceeded our expectations. Three years later we contacted them to add a spa to the existing pool they had built and again did an outstanding job. We are very satisfied repeat clients of Eric Guinn. 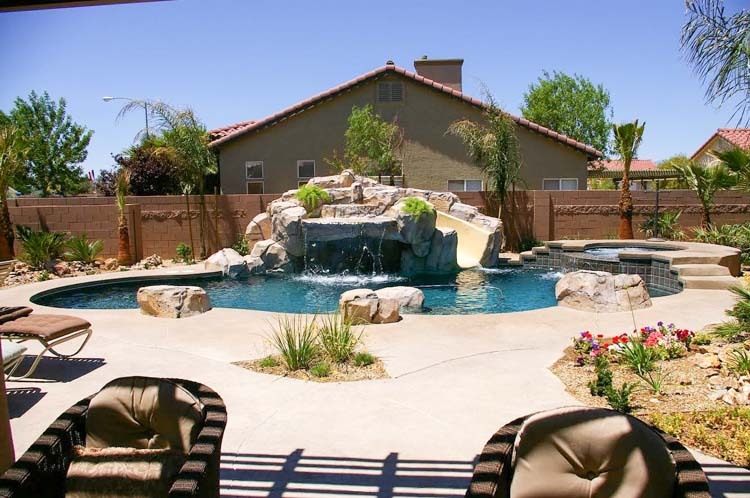 When it was time to do our second pool projects, we did not hesitate to call again. Extremely honest and reliable, quick to respond to any concerns. Dealing with you was such a pleasure and made the entire process very easy on us. We will definitely be recommending you and your company to all of our friends and family. I was referred to Everclear Pools by our neighbors. We met with Eric and I quickly had a piece of mind as he shared his knowledge with us in creating our dream into a reality. Sharing our thoughts with him he understood exactly what we had conveyed, so much so we had Eric build us 2 more pools with spas over time. Beyond pleased is an understatement as he is honest, reliable, and trustworthy and have made our experiences delightful. Everclear Pools did a superb job building our pool on time within our budget. We are very happy with the result. 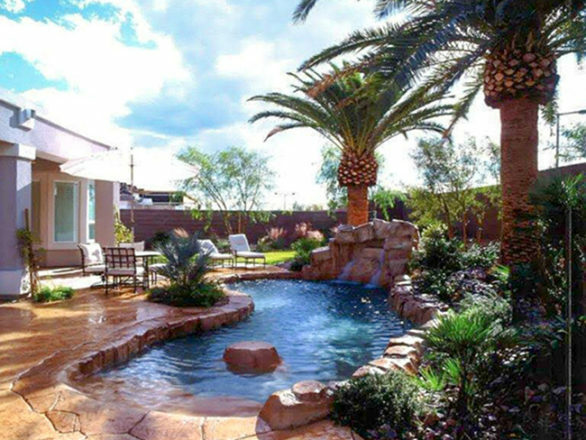 Our backyard is like an oasis and the pool, slide and Jacuzzi are extremely fun. We would definitely recommend them to others. Following and meeting pool construction deadlines, to meeting the price quotations without extra charges and costs, and in following through on any matters covered by warranty, has been very important to us. Eric listened to what our vision was for our pool/spa design. He helped execute a great function plan for our backyard. He was honest and thorough about how the whole building of the project went step by step. We are extremely pleased with the end result and the timely manner it took to complete our backyard. What is Everclear Pools Design? 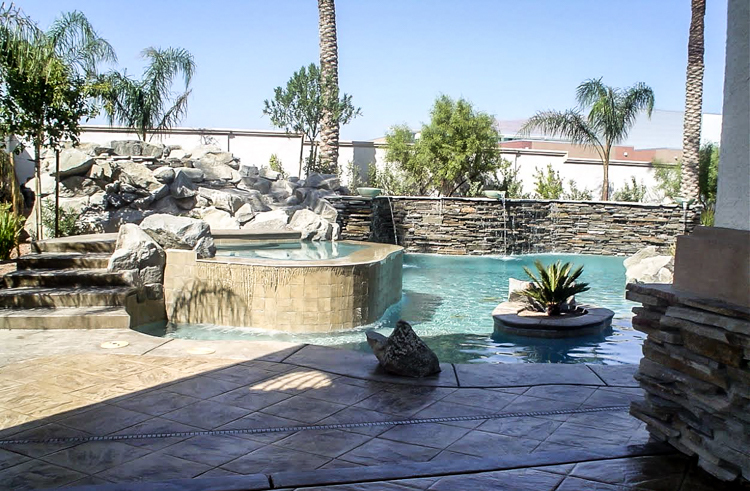 We are family owned and operated out of Las Vegas Nevada, and have been servicing custom pools for the past twenty two years. With hundreds of custom projects and designs under our belt we are more than ready to handle any job you can think of! 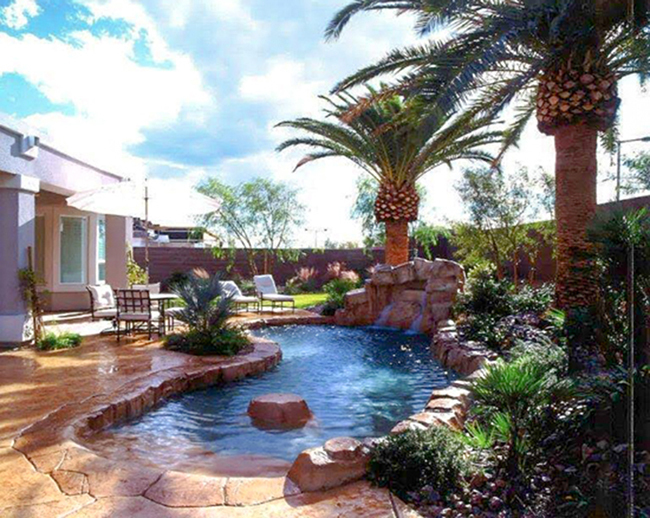 The guiding principle of EverClear Pools is to not only meet expectations, but to constantly exceed them. We continuously strive to better our company by better serving our clients through dedication, hard work, fair pricing and customer satisfaction. 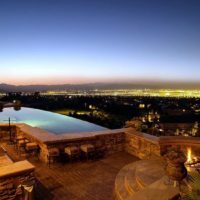 Experts in remodeling and renovations of existing pools, spas and outdoor areas. We can use your existing space and add upon it.